CHARLOTTESVILLE, Va. 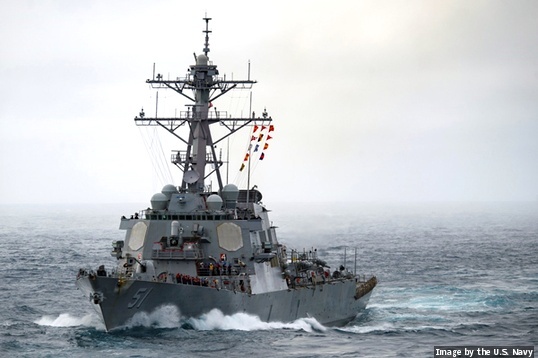 Engineers at Northrop Grumman Corp. completed the Critical Design Review (CDR) phase of the U.S. Navy’s WSN-12 Inertial Sensor Module and will begin production of ten pre-production units. The Inertial Sensor Module is a primary subsystem of the WSN-12 that includes the inertial sensors, electromechanical equipment supporting them, and software to compute the navigation solution. The shipboard inertial navigation system measures, computes, and distributes navigation data to all users, including attitude, velocity, and position information. The WSN-12 has the potential to become the primary shipboard inertial navigation system for most U.S. combatant vessels and will be installed on all vessels of the DDG, CG, CVN, and SSN classes, Northrop Grumman officials say.